The herb coleus forskohlii has a long history of use in Asian medicine. Limited evidence suggests potential benefits for treating asthma, skin conditions, high blood pressure, irritable bowel syndrome, angina, menstrual cramps and obesity, but not enough exists to firmly establish therapeutic effects, according to the University of Pittsburgh Medical Center. Forslean coleus forskohlii is a patented product standardized to contain a certain amount of the active components and has been tested for safety and toxicity. Regardless of the brand used, however, this herb could cause some side effects and it might be inappropriate to use in certain instances. The Memorial Sloan Kettering Cancer Center states reported side effects of coleus forskohlii include heachache, irregular heartbeat and low blood pressure. Avoid this supplement if you suffer from ulcers or gastroesophageal reflux disease due to its potential to increase stomach acid. Whether or not you can safely use this herb while pregnant or nursing has not been established, making it prudent to avoid it. 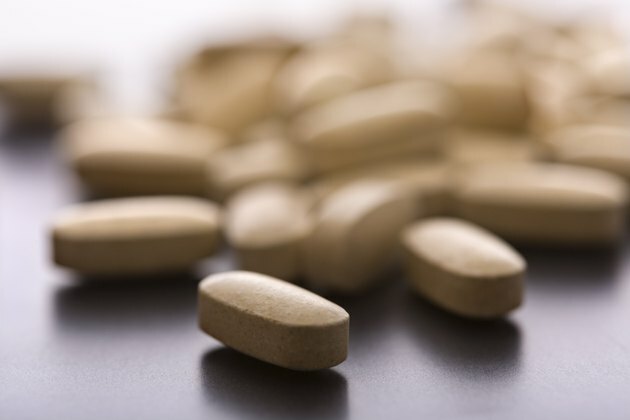 Sloan Kettering reports this supplement might increase cyst growth in patients with polycystic kidney disease and recommends you avoid it if you have this disease. Use is also contraindicated if you have diabetes due to concerns that it could increase blood sugar and lipid levels. This herb exhibits actions similar to drugs used to lower blood pressure and slow blood clotting. The University of Pittsburgh Medical Center stresses not to use coleus forskohlii with these types of medications without consulting with your doctor first. It might also interfere with the metabolization of a wide range of drugs broken down by the CYP3A enzyme. Clear the use of forskohlii with your doctor if you take any sort of medication. If you have liver or kidney disease, never take any supplement without talking to your doctor first. These organs have a particular sensitivity to what you put in your body, especially when operating in a diseased state. Drugs.com notes a typical dosage consists of 100 to 300 mg daily. Talk to your doctor about an appropriate dose for your needs.